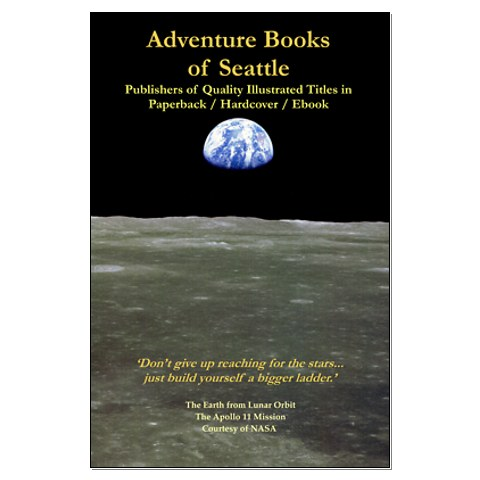 Adventure Books of Seattle offers several titles for the Amazon Kindle. All of them are available for free lending via Amazon's KOLL program. First list is for titles available for US Kindle Book sales. Links to the UK versions are below. Escape Velocity: The AnthologyEscape Velocity, the science fiction magazine from Adventure Books of Seattle, was host to some of the most talented writers in the genre. Presented here are many of the best short stories from the magazine, as well as others specially submitted for this collection by authors from around the world. This very unique book contains forty-eight sci-fi stories, such as 'Scream Quietly' by Sheila Crosby, 'Royal Flush,' by Ian Whates, and Rebecca Latyntseva's controversial time-travel tale, 'Red Monkeys'. The stunning cover images only add to what is undoubtably one of the best science fiction collections of the year. Edited by Geoff Nelder of Great Britain and Robert Blevins of the United States. View a 35-page preview in PDF by right-clicking on THIS LINK and using 'Open in New Tab'. Into The Blast - The True Story of D.B. Cooper - Revised Edition - November 24, 1971 - A man using the assumed name 'Dan Cooper' leaped from the aft stairway of a Boeing 727 jetliner after receiving four parachutes and $200,000 in cash. He was never seen again, and his identity has never been revealed...until now. Skipp Porteous of Sherlock Investigations, New York, and Robert Blevins of Adventure Books of Seattle present a compelling case that Northwest Airlines employee Kenneth Peter Christiansen was the famous hijacker. More than thirty images and a wealth of new evidence are included in the book. Revenge Story - AB's newest release is the story of former U.S. Army officer and decorated Iraq War vet Ray Morris. He and his wife Karen have fallen on hard times. They've lost their home, their business, and most of their money. They decide to pull up stakes, pack up a U-Haul truck, and move to Texas to find work. But an incident with an overzealous police officer suddenly thrusts them into a serious situation from which there is no return. They are now wanted by the law, and take refuge with Ray's former top sergeant, Ben Cummings, at his ranch in Northern Califormia. What they don't know is that Cummings has been out robbing banks for a living, and the heat is on for him. Cummings takes advantage of the Morris' trouble with the law to talk them into one last robbery that will provide enough money for all three to leave the country for good. But like a snowball rolling down a mountain, things go from bad to worse after Cummings murders first one cop, and then two others in the actual commission of the robbery. Soon, all three of them are on the F.B.I. 's Ten Most Wanted List and being hunted by every agent on the West Coast. But the police discover that this particular trio are not so easy to catch. As Cummings, Ray Morris, and Karen Morris become the top story on television, the F.B.I. pursues them on a chase from Northern California to Washington State. Along the way, Cummings shows the true nature of his ruthless character, killing anybody foolish enough to cross them. Revenge Story is an ultra-violent Bonnie and Clyde-type tale for the 21st century...with a surprising end set decades into the future. Adventure Books presents thirty different short stories in the flash-fiction genre. Flash fiction is the art of telling a complete story with main characters, a plot, and an ending - in as few words as possible. Some are humorous, others controversial, but all are entertaining. Foreword by Julia Broussard. Pilot Down, Presumed Dead - by Marjorie Phleger. Pilot Steve Ferris makes a good living taking eager fishermen to equally eager charters in Baja California. On one return trip, he flies into a chubasco, a sudden summer storm that can strike with near-hurricane force. After a crash-landing on a beach far out to sea, it becomes a matter of survival. Hot Air - Erica is a nine-to-five office temp with flaming red hair, emerald eyes, and black lipstick. The highlights of her day usually include coffee meetings and intoxicated fumblings. An adventurer at heart, she hires a hot-air balloon ride for she and her boyfriend, complete with a champagne lunch. While in the air, she witnesses an unsavory crime happening on the ground below. The perpetrators spot the balloon, and begin shooting at it, hitting the pilot and killing him. Somehow, Erica and Paul manage to land the balloon but their troubles are not over. They are tracked down and abducted by a gang engaged in human trafficking, and taken to an island in the Mediterranean. Erica soon adapts to gangland ways and uses her charms to escape. Along the way, her life shifts from bored office temp to a feisty Lara Croft now living on adrenaline and dangerous men. She is chased by a rogue named Dean, who is annoyed by Erica but falling for her at the same time. Hot Air is a contemporary crime novel and a winner of both the Wuacademia Silver Award in 2007 and Prix d'Or (Gold) 2008. Dimensions - Twenty-three tales of science fiction written by Escape Velocity Magazine founders Robert Blevins and Geoff Nelder. Newly edited version with added stories. Escaping Reality - by Geoff Nelder. Escaping Reality is a humorous thriller set in Northern Britain and Amsterdam. The story opens with musician Gerry Ricketts having his face pushed into a water-filled gutter by a large policewoman. He is under arrest. After a quick trial, Ricketts is sentenced to ten years in Stonelodge Prison for a jewel robbery he did not commit. Determined to discover who framed him, Ricketts begins plotting his escape. It won't be easy. Stonelodge is a Category B prison, old and smelly, with heavy security. His luck finally turns when he enters into a sexual relationship with Wendy, the prison librarian. He finally makes his escape, hiding out in the Northumberland moors, and eventually reaches Amsterdam. But the plot that landed him in prison is bigger than he knows, and his troubles are just beginning as he struggles to stay one step ahead of the law and clear his name. Escaping Reality, although set in Europe, was inspired by the 1960's TV series The Fugitive. Geoff Nelder's other books include Exit - Pursued by a Bee, ARIA, and Hot Air. Island of the Wolves - Island of the Wolves is a novel set in Kentucky USA, and written by 17-year-old Katie Onus, the 2011 winner of Adventure Books of Seattle's Young Writers Project. Selected from dozens of entries, it is the story of April Omega, a young girl who trains her dogs to respond to commands in German and races horses at a nearby professional stable. April is a typical teen in many ways, with friends, and a car she cherishes. However, there is something different about her, and this 'something' is at the heart of the story. Her veterinarian parents know about it, but they haven't revealed the secret to April yet, wanting her to grow up as a normal teen. The time is approaching when April must be shown what makes her family unique, and that involves a special trip to the Island of the Wolves. Robinson Crusoe - Special Redux Edition - The classic tale of survival and ultimate redemption by Daniel Defoe has been completely re-edited for modern readers by Adventure Books of Seattle. 'God,' says editor Robert M Blevins in the foreword, 'still has a part in the book, but a smaller one and more fitting to the actual adventure...' The Special Redux Edition corrects many of the flaws in Defoe's version, including a restructuring of events, since Defoe often related things out of order in the original. Dialogue is now 'attributed' with quotes and Defoe's unabridged manuscript was polished down from 160,000 to about 60,000 words. The only difference most readers will notice is a smoother flow to the story. Possibly the best version ever offered of this classic, and certainly the easiest to read. Time Pieces - The definitive collection of science fiction tales on the subject of time travel. Stories include No Time Like the Present, Last Train Home, Combination Lock, Red Monkeys, Firstborn Killer and eighteen more stories by authors from around the world. Some are lighthearted reading, others more serious, even controversial. If you are a time travel fan, this is the ultimate trip. 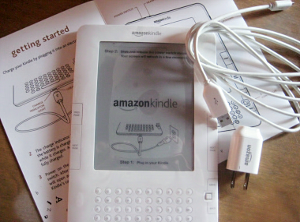 Currently, this is AB's most popular release for the Kindle. The 13th Day of Christmas - A new U.S. President with vision throws down a challenge to NASA, asking if they can put humans on the Red Planet in four years, when Mars makes its closest approach to Earth in a decade. Two men and one woman roll the dice in this exciting story of a risky first mission to Mars. Conflict between a sexist mission commander and the female astronaut assigned to get them to the Martian surface turns the mission into a struggle for survival. Main character 'Anna Johnson' was partly based on the life of Canadian Chief Astronaut Julie Payette, who received a copy of the book in hardback. Big Bang by A.J. Desmond - Modern-day London...a group of wealthy people once financed the construction of a massive shelter below the city, as a retreat in the event of nuclear war. They even installed a supercomputer capable of bending reality to its own ends. None of them thought they would actually have to use it - until the morning the alarm sounded. This special club includes a Member of Parliament, an action film star, a rock singer, and a host of other eclectic characters. Imaginative in scope and difficult to describe, 'Big Bang' has often been compared to a science-fiction version of 'Catch-22'. Welsh writer A.J. Desmond takes readers down Alice's rabbit-hole by the scruff of the neck and doesn't let go until the last page. The Corona Incident - Ray Stafford published his first science article at 14. Three years later, he sold a patent to General Motors that doubled fuel efficiency in cars. By the age of 22 he was offered an unprecendented chance to teach at the Massachusetts Institute of Technology. But even M.I.T. soon wearied of young Dr Stafford's secretive experiments, and they suspect he is keeping a double set of files. They are right...Stafford has stumbled onto the key to time travel and he doesn't know who to trust with the technology. His plan: To develop his device in a secret location and use it to travel back to 1947 New Mexico in an attempt to find out if the famous Roswell Crash really happened. When the U.S. Government finds out what he's doing, it becomes a game of cat-and-mouse, with Stafford trying to stay one step ahead and become the world's first time-traveler. Say Goodbye to the Sun - Sixteen years after a chance discovery by an astronomer who uses a new program to enhance Hubble images, the first real attempt to reach a habitable planet outside our solar system is nearly ready. The New York Times calls the Galileo Project: 'Like trying to go to the moon ... during the time of Jules Verne.' Newsweek goes further, calling it 'the most expensive suicide mission in history.' None of this matters to the crew of the Galileo Explorer, who have trained together for a decade. They are ready. The Escape Velocity Magazine - AB of Seattle's famous illustrated science fiction magazine is now available for the Kindle. Issue One was uploaded on August 15, 2009 with all others to follow soon. See issue links below to purchase at Amazon. NOTE: These magazines are being updated soon for the new Kindle Fire, and all images will be switched to color. Note: Often these UK Amazon links say 'Pricing Information Not Available', which we don't understand because all of them cost the same price. They run about 2.17 GBP each. Prices are based on the US price.